WRA master planned the 50-acre campus for a new 5A high school to ultimately serve 2,300 students. 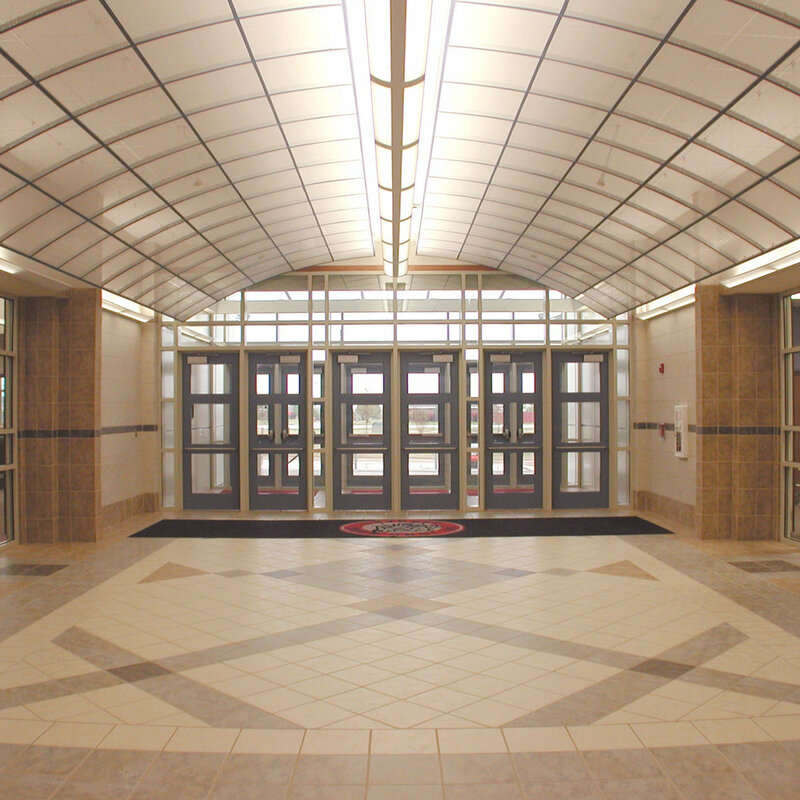 Phase I included 225,000 SF including core elements for an ultimate capacity of 2,300 students. Site elements include tennis courts, athletic fields and an all weather track. Phase II included a 43,000 SF classroom addition and an 18,500 SF new field house. Classroom elements include three science labs, two art rooms, and general classrooms. The field house has coaches' offices, meeting room, mat room, training, laundry, equipment storage, locker rooms and weight room. Phase III, 63,000 SF, includes a new full-size P.E. gymnasium and auditorium addition which is currently under construction. All phases of the campus development so far have successfully conformed to the original Master Plan, which has subsequently been updated, but has incurred no significant changes since its original inception. "They have an excellent track record of working with the cutting edge in energy efficient buildings and energy management and conservation."